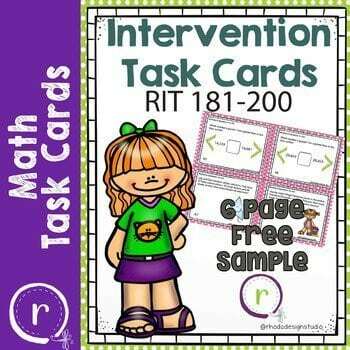 These task cards that cover the skills for the RIT Band 180-200: Operations and Algebraic Thinking, Numbers and Operations, Measurement and Data, and Geometry. Great for NWEA MAP, SBACC or any other state testing. 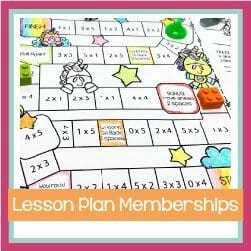 These can be used for review, for test prep, independent centers, or to assess skills that your students need to master. Even if your school doesn’t use MAP testing, these task cards make a great review and practice for 2nd and 3rd grade or remedial practice for 4th grade. 6 quarter sheet task cards (4 tasks per sheet).